Hey guys, I could use an opinion on today’s bathroom design. I can’t decide between the two vanities. On the one hand, the white vanity with plenty of storage works well within the design. I love the marble countertop and you can always use storage space in a bathroom. 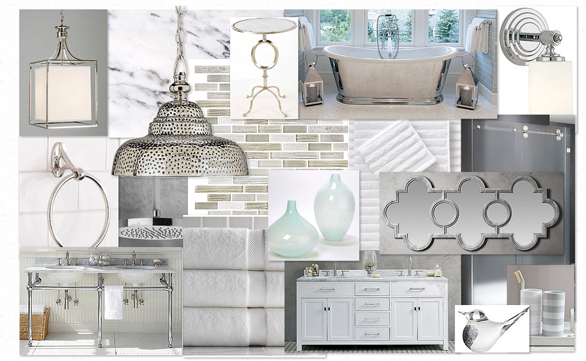 However, I really love how the silver legs of the second vanity works perfectly with the silver reflective bathtub. No storage, but style wise, I think it’s a better fit. What do you think?